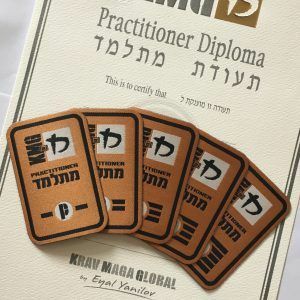 As SGS KRAV MAGA are part of the KMG network all grades earned through SGS KRAV MAGA will be KMG internationally recognised. KMG grants its students relevant certification diplomas for Practitioner, Graduate, Expert and Master levels. In addition we grant three kinds of instructor diplomas: Civilian Instructor; Military Instructor; and Law Enforcement Instructor. For each sector, we offer several different specific sector-related courses. For examples, in the civilian sector we offer: the General Instructors Course (GIC); the Combat and Fighting Instructors Course (CFIC); the Kids and Teens Instructors Course; and more. For the Law-Enforcement sector we offer L-E Instructor, Advanced L-E Instructor, SWAT Instructor, VIP Protection (CPP) Instructor, Air-Marshal Instructor and more. We also award Fighter and Warrior diplomas upon the successful completion of our Fighter and Warrior courses. These training programs are primarily geared toward the governmental law enforcement, military, security and VIP protection sectors. KMG award students ranks represented by patches that indicate their current level. Our curriculum is structured into five Practitioner levels, five Graduate levels and five Expert levels. Each level has a specific syllabus and requirements. 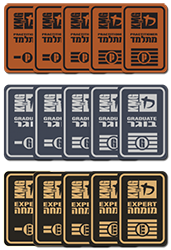 In addition, there are three Master levels (Imi granted up to Master 3 / Expert 8). Specific requirements, but no curriculum, were associated with these levels. Climbing from one level to the next in the Practitioner and Graduate levels takes about half a year of consistent training. It takes between one to four years to pass from one Expert level to the next. 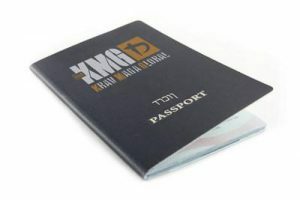 The KMG Passport is a booklet, a log-book, in which your training information is documented: when you received your Passport, in which club you are training, which courses and qualifications you past, different seminars and workshops you took and your current grade. Each Passport is awarded a unique identification number according to the location and date it was issued.